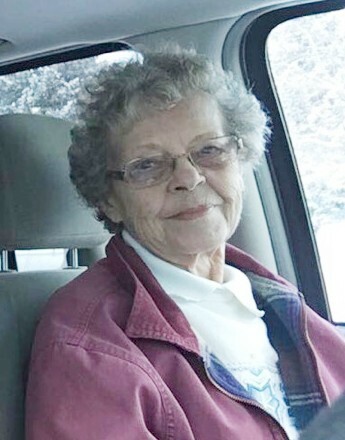 Betty (Barghultz) Williams, age 84, of Livingston, Montana passed away of natural causes on Tuesday, April 16, 2019 at her home with her sons at her side. A memorial funeral service will be held on Tuesday, April 23, 11:00 A.M. at the Livingston Christian Center, 1400 Mount Baldy Dr. Graveside committal and burial will follow the service at Mountain View Cemetery. A reception will then follow the burial at the Christian Center. On Monday, April 22, friends and family are invited to pay their respects at Franzen-Davis Funeral Home From noon-5:00 P.M.
Betty was born on January 21, 1935 in Roundup to Adolf and Mary Barghultz. Betty married Don Williams on May 25, 1971. Don met Betty while she was tying flies at Dan Bailey’s. Don and Betty raised 5 kids together in Livingston. Betty began working at a very young age and continued to work for a total of 65 years. Betty worked the majority of her career at County Market and had very loyal customers that visited her often. Betty did not know how to take a day off. When she was not at work, she was cooking her renowned lunches for Don’s fisherman. Betty’s passion was cooking. She always made too much food and made sure her guests would take second, third and fourth helpings. Betty would bake lots of goodies for Dan’s Taekwondo tournaments. Betty had a witty sense of humor and she had a smirk that would bring a smile to everyone. Betty also had a huge heart and took care of many family members and elderly folks in the Livingston community throughout the years. Christmas cards with Don’s fishing pictures were sure to grace numerous mailboxes at Christmas. She would also make sure she was standing in line on Black Friday to ensure her grandkids would have a complete collection of the Barbie Christmas ornament. No Christmas was complete without her carrot pudding and Rum frosting. Betty spent hours and hours making the family’s favorite recipes. Betty’s house was often filled with polka music, John Wayne movies, storytelling and game shows. Her walls were filled with family pictures which told many memories. Betty is survived by her boys: William (Vicki) McDonald, Dan (Chris) Williams, both of Livingston, Barry (Pam) McDonald of Townsend, Guy (Angie) Williams of Washington; grandchildren: Jessica (Ben) Wyett, Tylee and Kayla McDonald Christopher McDonald, Chelsey (Misael) Trujillo and Bailey Williams and great-grandchildren, Allyson and Samantha Wyett, and Madison and Samuel Trujillo; siblings: Larry (Linda) Barghultz of Great Falls, Helen Frank of Bozeman; Cousins: Tom (Beth) and Gary Castle of Washington, good friends Bob Solomon and Bob and Lonnie Oakland, and numerous nieces and nephews and great nieces and nephews. Preceding Betty in death was her husband, Don Williams; her parents, Adolf and Mary Barghultz; siblings: Margaret Cheldinas, Katy Davis, Rose Anderson, and George Barghultz; children: Benny McDonald, Keith Williams, and Pam Williams. Memorials are preferred to Livingston HealthCare Hospice, 320 Alpenglow Ln, Livingston, MT 59047, please note: In memory of Betty Williams, hospice donation.